I recently decided to change my Internet settings on my smart phone so that I could only access my email and social media apps when connected to WiFi. I originally decided to do this to determine if I could cut the cost of my telephone bill by reducing my data plan. But the benefits aside from the cost savings have proven valuable. 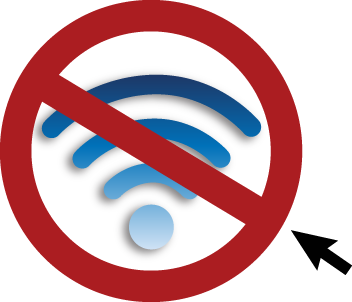 I have a limited connection while driving, and at places that do not have public WiFi, such as at restaurants and movies, among other locations. But this was an unseen benefit! Benefit #1: (Fairly) Undistracted Driving. I’m not tempted as much to use my phone when I’m driving, which is a dangerous habit and one I’m willing to break. Benefit #2: Enjoying Socializing. Shutting off my Internet connection when out on the town makes for a more enjoyable time. While socializing and enjoying dinner or a movie, it’s best to focus on the people you are with or the great food and entertainment you’re spending your money on. So why waste your time by looking at what other people are doing on social media? Enjoy what you are doing! Benefit #3: Noticing IRL (in real life). When I’m unable to connect to the Internet from any location at a drop of a hat, I find myself reconnecting with my thoughts and enjoying the IRL scenery. Why look at a youtube puppy video when you can watch a puppy run in the park? I still have a ways to go: I still distinctively reach for my phone when I am waiting in traffic or in line, but I’m finding the right Internet / No Internet balance. Posted on March 6, 2014, in Tausend Talks Shop, Technology Management and tagged Internet. Bookmark the permalink. 1 Comment.